Note: if you are not a moderator of any forum or you are currently logged out of Disqus, you will get redirected to this page when trying to access the admin panel. Below is how you can create a Disqus forum, if you'd like. Disqus works on virtually any type of website or blogging platform, and is very simple to install through the use of our embed code. 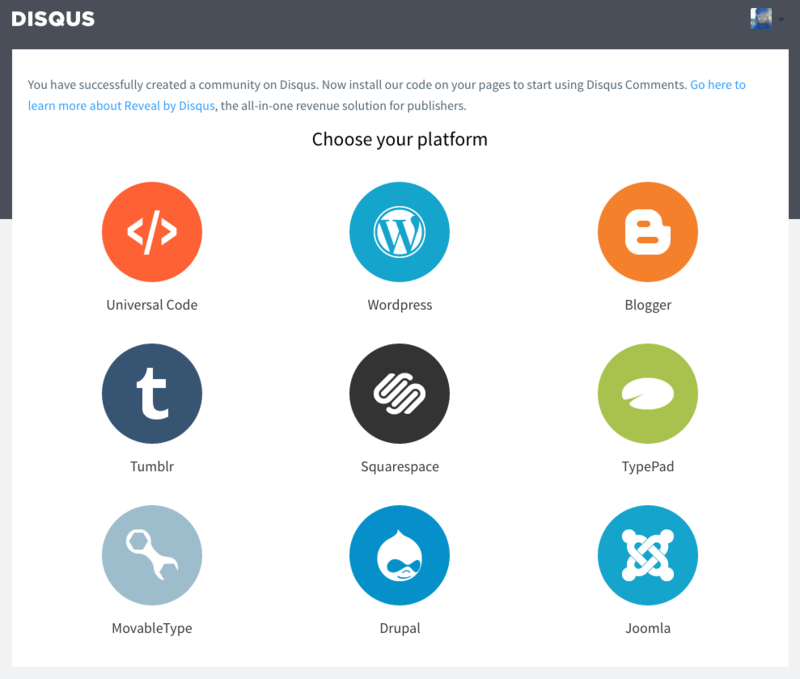 This guide will outline the steps to setting up Disqus on your website. 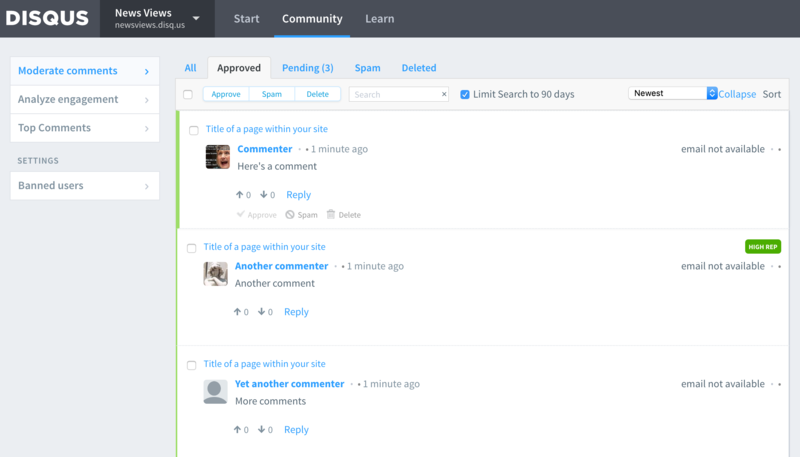 Before going any further, you will need to register your website with Disqus. You will also need to create a user profile in order to login and administer this website. 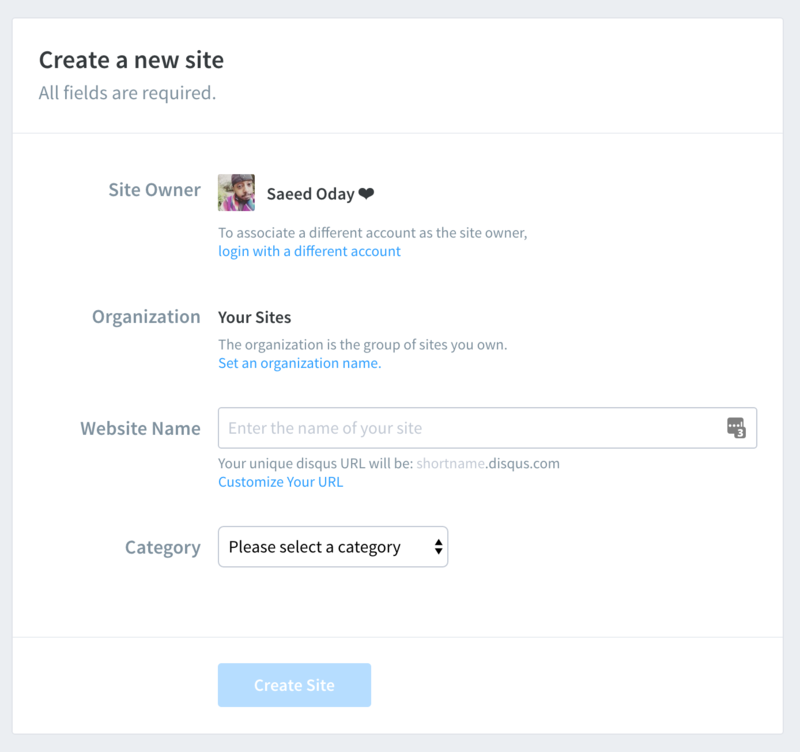 During registration, you will pick a shortname for your site, which is how Disqus identifies your website community in the system. An organization will be automatically created which will contain your new site and any additional sites you choose to create in the future. Disqus is compatible with many popular blogging platforms, content management systems, and virtually any custom website. Some examples of blogging platforms are WordPress, Tumblr, and Blogger. Visit the installation instructions section of the website to find the instructions for your platform. Not using any of the suggested platforms? Use our Universal Embed Code. Follow our instructions closely and make sure you set the correct shortname variable so that comments go to your forum. Disqus provides publishers with the tools they need to cultivate thriving communities. Your forum settings allow you to add moderators and admins, set community rules, and more. Review our Getting Started guide for how to start growing your community. Disqus offers many tools to help you easily manage your community; learn more on our Moderation page. Your Home is the main page you see when you visit disqus.com/home/. For more information about how your site's community will show up on Disqus, how it can be followed, and more, check out Your Homepage on Disqus.